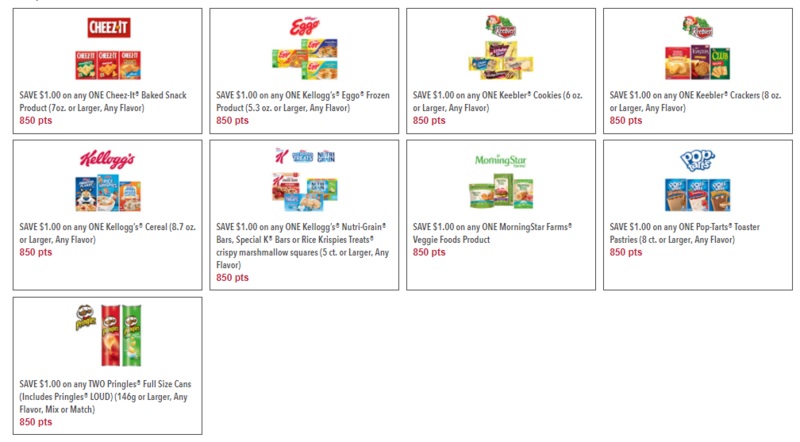 If you haven’t checked out the Kellogg’s Family Rewards Program, today is the day! If you are a frequent buyer of Kellogg’s products, you can earn points, rewards and coupons through the Kellogg’s Family Rewards Program. Just head on over to the Kellogg’s Family Rewards site to create an account. It’s free to join and you’ll get 100 bonus points just for signing up! 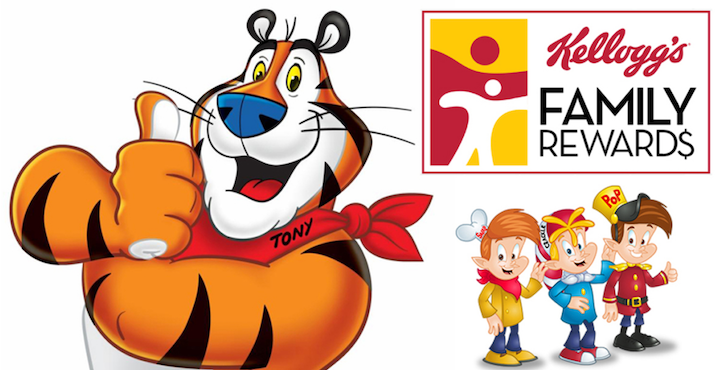 How do you earn points for Kellogg’s Family Rewards? Now, what do you do with all of these points that you’re earning? There are currently over 100 rewards available to earn including e-gift cards, Shutterfly prints, books, Kellogg’s merchandise and so much more. One of my favorite things to redeem my points on are coupons. I know, it’s shocking isn’t it? At the moment, you can pick one of 9 available coupons that you can print from home for only 850 points each. It doesn’t take long to rack up points especially when they frequently offer bonus codes via the emails they’ll send you. Make sure not to let them go to your spam folder! Besides bonus point offers, they are filled with all sorts of fun information, recipes and links to coupons that don’t require points. In fact, once you have created your account, you can log in at any time to see what printable coupons they have available for free! The emails do contain exclusive coupons you won’t find elsewhere so don’t let those pass you by. Don’t let another day go by! Sign up and join the fun!